PM Shri Narendra Modi, today evening (Nov 8, 2016) addressed the nation and announced that old higher denominations of Rs. 500 and Rs. 1000 will not be legal tender from this midnight . Old High Denomination Bank Notes of Rs. 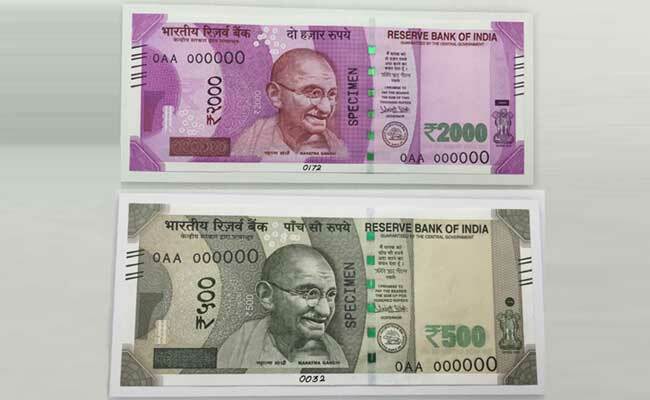 500 and 1000 are being withdrawn from midnight, and will not be legal tender any more. New series of Rs. 2000 and Rs. 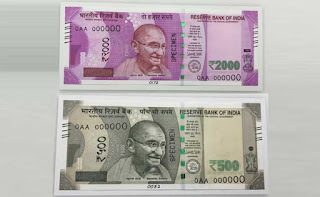 500 denominations will be launched soon. Deposit any amount of old notes of Rs. 500 and Rs. 1000 in bank or post office accounts from Nov 10 (Thursday) to Dec 30 (Friday), i.e., 50 days to deposit old notes and credit your account. However, in case of non-KYC compliant account, a maximum of Rs. 50,000 can be deposited. Those unable to deposit by Dec 30 for some reason, can change them till March 31, 2017, by furnishing Officially Valid Documents (OVD) (ID proof) in RBI specified offices only. Exchange old notes of Rs. 500 or Rs. 1000 at any bank, head post office or sub post office, by showing your ID proof (OVD), maximum of Rs. 4,000 till Nov 24, 2016. On Nov 9 (Wednesday) and in some places on Nov 10 (Thursday), ATMs will not work. In the first few days till Nov 18, there will be a limit of Rs. 2,000 per day per card, which will be raised to Rs. 4,000 from Nov 19. There will be a maximum cash withdrawal limit, which is Rs. 10,000 / day and Rs. 20,000 / week for the first fortnight (till Nov 24, 2016). This limit may be increased in the coming days. No restriction on non-cash payments, like payments by Cheques, Demand Drafts (DD), Debit / Credit Cards, Electronic transfer, Internet / Mobile Banking, etc. Government hospitals and pharmacies at such hospitals will continue to accept old Rs. 500 and Rs. 1000 notes for payment till Nov 11 (Friday) midnight. Ticket counters of railway, government bus and airline will accept the same for ticket booking till Nov 11 midnight. * There is no official confirmation by RBI on RFID tags for tracking currency notes. These might be rumors.